January 28, 2019 - The St. Charles Arts Council’s 7th annual Student Pop-Up Gallery, featuring the work of Student Visual and Video Artists, will run from Saturday, April 13 through Saturday, April 20, 2019, at The Keep Creative—a creative co-working space located at 220 N. 4th St in St. Charles. An Artist Reception will be held on Saturday, April 13 from 5 to 7 p.m., following the Ramble. Student Artists may submit their work electronically to ArtistLiaison@StCharlesArtsCouncil.org. The Gallery will be one of the stops in the 2nd Annual Fox River Arts Ramble, a two-day tour of art in the Fox River Valley, showcasing art from Aurora to Elgin. The SCAC is proud to include our Student Gallery in this major art event! Visit foxriverarts.com for more information on the Ramble. More information about the gallery and the Pop-Up Arts program may be found by visiting the SCAC’s web site, stcharlesartscouncil.org. The Call may be found at stcharlesartscouncil.org/calls-to-artists. Entries may be in any style or medium of visual art, including video. See specific guidelines below. ELIGIBILITY: ONLY students in grades K-12 and currently enrolled undergraduate students, including home-schooled students and those enrolled in extracurricular arts programs, are eligible to submit work. Up to three (3) images of ORIGINAL artwork (see “Image Requirements” below). Artists may submit 2 views of 3D work (second view does not count toward the 3 submission limit). Gallery space is limited. Jurors may select 1, 2, 3 or none of the submissions. Image Requirements: Only jpg images of the artwork, sent electronically, are accepted. Each image should be 500 KB or less. Images can be shot with a cell phone or digital camera. Work must be “original” in concept and execution and not copied from other sources. No reproductions will be accepted. Questions? Please contact us at 630.443.3794 or ArtistLiaison@StCharlesArtsCouncil.org. Submissions from Teachers: Teachers may enter work by their students, but do not submit multiple works from the same lesson. Gallery space is limited, and teachers should be selective in choosing work to submit. If student is submitting work independently, and the student’s teacher is also submitting work for that student, all the work counts toward the limit that the student may submit. SUBMISSION DEADLINE: All submissions are due by 11:59 pm, Saturday, February 23, 2019. Late work will not be juried. Images must be submitted electronically by 11:59 pm, Saturday, February 23. Artists will be notified of the status of their submissions by Monday, March 4. RECEIPT OF ACCEPTED WORK: Saturday, April 6 (1 p.m. to 3 p.m.) and Monday, April 8 (4 p.m. to 6 p.m.). Artists will receive information about delivery of their work. Gallery will be open: For Artist Reception on Saturday, April 13 and for the Fox River Arts Ramble, Saturday, April 13 and Sunday, April 14 from 10 a.m. to 5p.m. then published days/times through Saturday, April 20. Artist Reception: A reception for the artists, guests, and the general public will be held at The Keep on Saturday, April 13 from 5 to 7 p.m. PICK UP OF WORK: Saturday, April 20 (4 to 6 p.m.) and Monday, April 22 (4 to 6 p.m.). Artists will be notified about requirements for the display of their work. All work must follow requirements to be displayed in the gallery. In general, all 2D work must be framed with hangers and wire. 3D work must be free standing or the artist must provide a pedestal or appropriate display structure for exhibiting the work. Some standard sized frames are available for students to borrow for the duration of the show, pending availability. Contact the SCAC for more information – ArtistLiaison@StChartsArtsCouncil.org. Delivery and pick up of the work is the artist’s responsibility. Delivery and pick up must be done on the dates listed above. Work must be portable and able to fit through a standard door to be included in the gallery. ARTIST AGREEMENT: Each exhibiting artist or their guardian must sign a gallery agreement to participate in the gallery. All work must remain on display in the gallery for the published dates. Work that is sold will be collected by the purchaser at the end of the gallery run. More information about sales will be included in the artist agreement. Open hours will be dependent on availability of gallery sitters. Anyone interested in volunteering to “sit” the gallery should contact the SCAC at 630.443.3794 or email us at info@StCharlesArtsCouncil.org. The Pop-Up Gallery Project is a very successful initiative of the St Charles Arts Council. This gallery will be our 37th Pop-Up, and our 7th exclusively for Student Artists. We encourage students to submit work that can be sold. 100% of the selling price of the work goes to the artist. The galleries are actively promoted in social and print media, and the artwork is insured for replacement value. The St Charles Arts Council is a 501(c)(3), registered not-for-profit Illinois corporation whose mission is to serve and promote the arts and creativity, to the mutual benefit of the arts and the community. 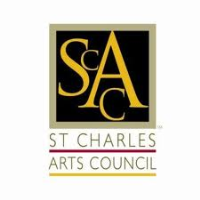 Contact the SCAC for information at 630.443.3794 or at info@StCharlesArtsCouncil.org.